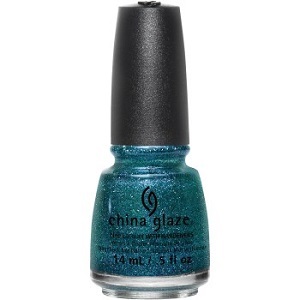 China Glaze Nail Polish, I Soiree I Didn't Do It, 1427, .50 fl. oz. Small blue and green glitter in a teal green tinted base.